The Interdisciplinarian is a podcast and blog for product managers and other interdisciplinary innovators. If you’re interested in stories from practitioners about what’s worked for them, what hasn’t, and what they’ve learned, you’re in the right place. Donald Norman is a leading thinker on human-centered design and the author of the seminal book ‘The Design of Everyday Things’. I hope you’ll enjoy hearing from him as much as I did. Have you ever been in a ‘strategic IT discussion’ where you had the sense that everyone was reading off some terrible script that causes otherwise high-functioning people to set themselves up for failed IT projects? I have. I’ve been there as an executive, I’ve been there as an advisor, and I’ve been there as a software vendor. ‘Strategic’ often just means ‘big’. To actually run a strategic IT project, I’ve found you need some tangible, specific way to talk about strategy. 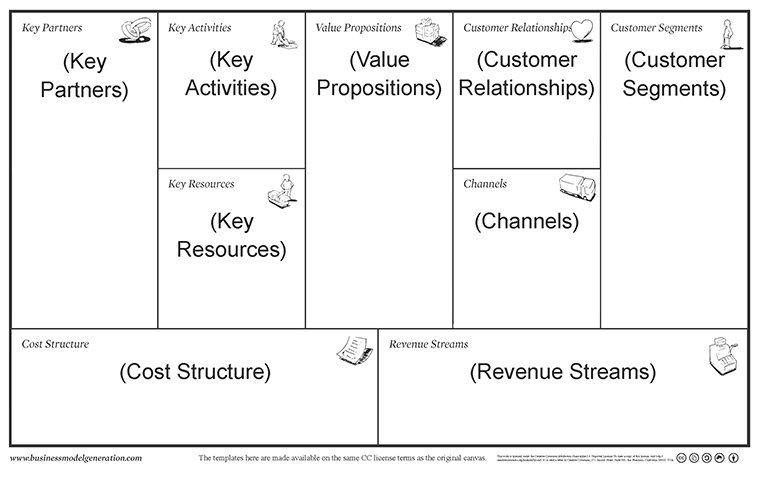 For this, the Business Model Canvas (see below) has served me well. If you’re not familiar, the canvas is tool developed by Alex Osterwalder and a team of collaborators to talk about business models. The basic idea is that its one-page format helps you net out the focal points and drive to an actionable understanding of how to implement your strategy. I remember using it on a project with a non-profit who was implementing a CRM as part of scaling up their operation. The Key Activities section (top left in the Canvas) turned out to be most important. Key Activities are the things that the business does that are uniquely, strategically important to delivering their value to their customer. In this case, we came up with six Key Activities. Against each Key Activity, we sketched the relevant processes, describing their specific inputs and outputs. Then, for each process, we drafted user stories to detail (in testable terms) how the user would interact with the system. 1. What is the pertinent user story here? How will we know if this is valuable for the end user? 2. What process are we implementing? How does this fit into the larger picture of how the business operates? 3. What Key Activity does that tie to? The process designs went through plenty of revision, which is normal and healthy. In fact, I think the team felt more comfortable with revision because of that clear link back to strategy. Rather than the feeling that you might open a can of worms, you knew what success looked like and how to assess it. A. Who are our Customer Segments and what Value Propositions do we offer them? B.What is the customer journey? What kind of Customer Relationship (type of interface) do we need with the customer through that and what Channels do we use to deliver it? C. What are the uniquely, strategically important things we do to accomplish the above (Key Activities) and what assets (Key Resources) allow us to do that? D. What parts of ‘C’ do we not do and use Key Partners to accomplish? If you have a minute, I’d love to hear what you think in the Comments form below. If you’re interested in applying the Canvas to IT projects, here’s a tutorial: Enterprise Software Playbook (see section on Framing Business Focus).